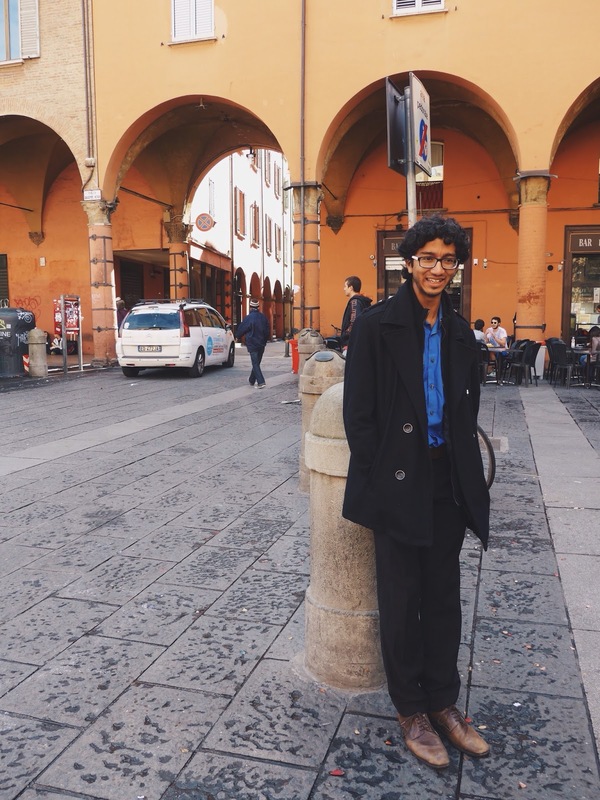 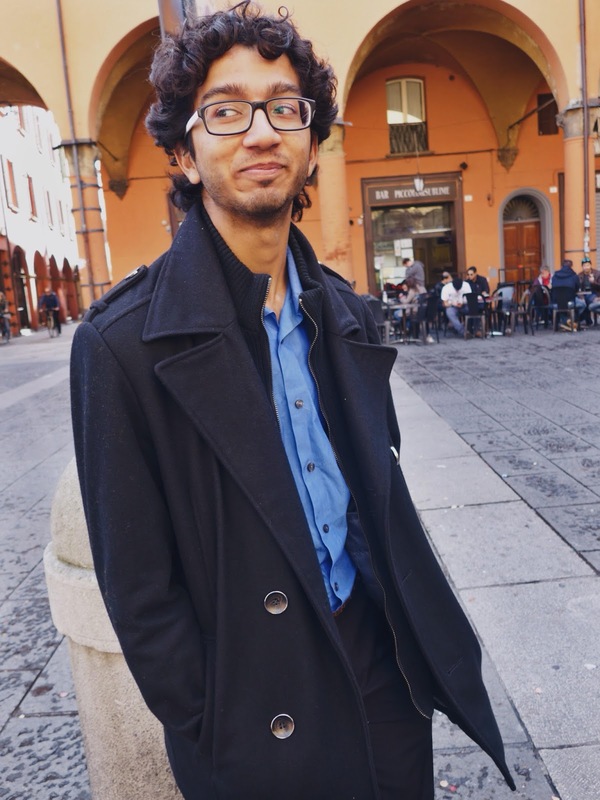 Last weekend, my Italian opera class and I wore our classiest clothes and took a day trip to Bologna to see a production of Macbeth at the Teatro Communale di Bologna. 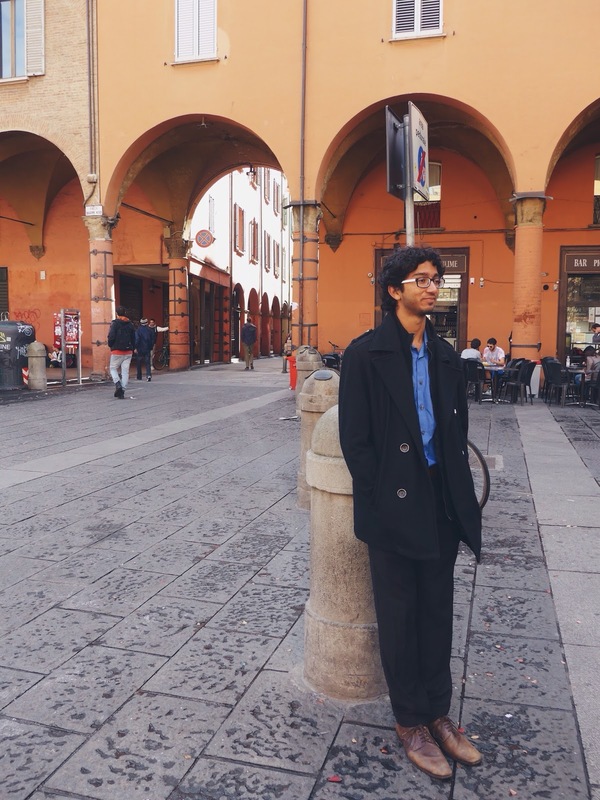 One of my friends, Nikhil, looked so snazzy in his all-black attire that I just had to capture some photos of his outfit for MM. 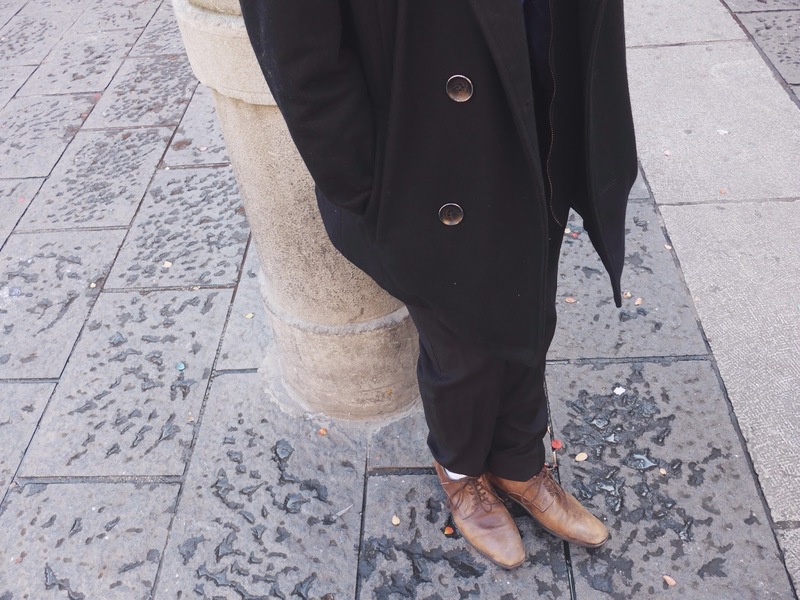 His fall look includes a Kenneth Cole shirt, coat and brown Steve Madden Oxfords, perfect for a fashionable night at the opera.